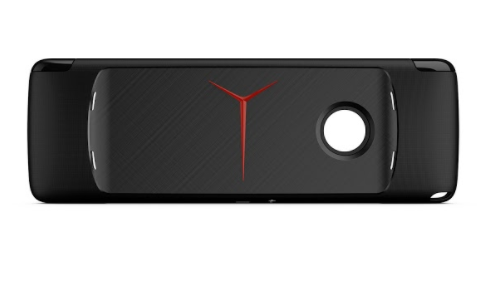 Motorola Reveals Digital TV Mod, Available Next Week!!! The Moto Z is one of the most innovative Smartphone we've have ever seen. Being modular, Moto Z is designed to accommodate add-on modules that snap to the back of their cases. 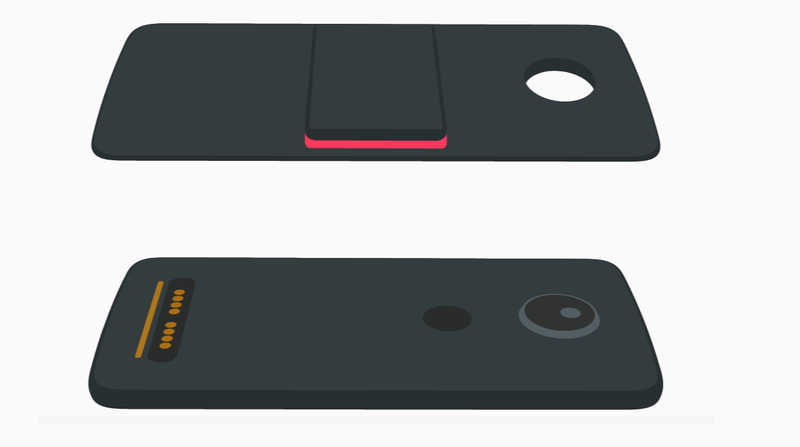 From a Simple Style Case to a Pico Projector, Moto Mods can be attached to the back of Moto Z, Moto Z force or Moto Z Play via magnetic pins. Motorola today revealed Moto Power Pack & Digital TV Moto Mod for the Moto Z Smartphones. This new Mod allows you to watch TV wherever you want and comes with 2,800mAh built-in battery. You can save your favorite channels, record the live broadcast, pause and resume recording. 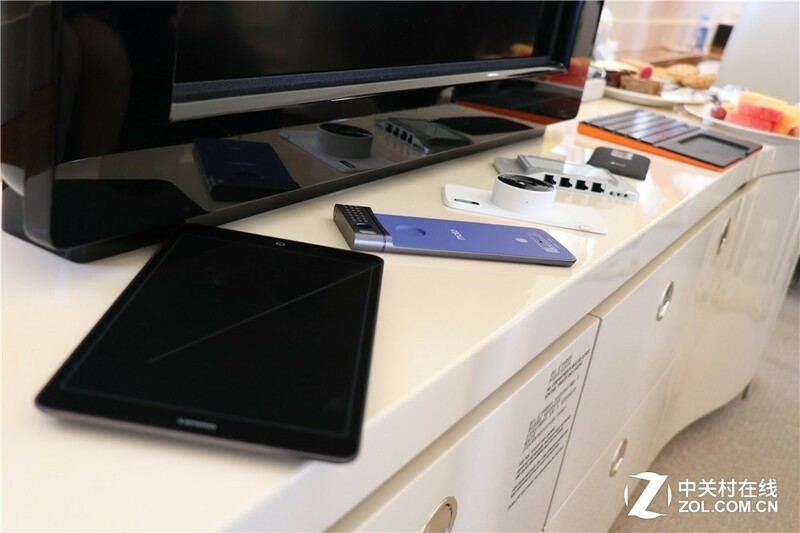 In addition, the Moto Power Pack & Digital TV Module has an integrated kickstand which helps you to lean your Smartphone on the desk or on plain surface to wartch TV. 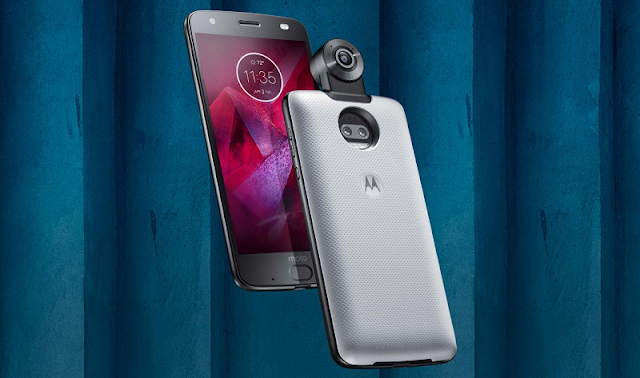 The Moto Power Pack & Digital TV will be available in Brazil starting next week on Motorola's website for 399 Brazilian Real. Thoughts? 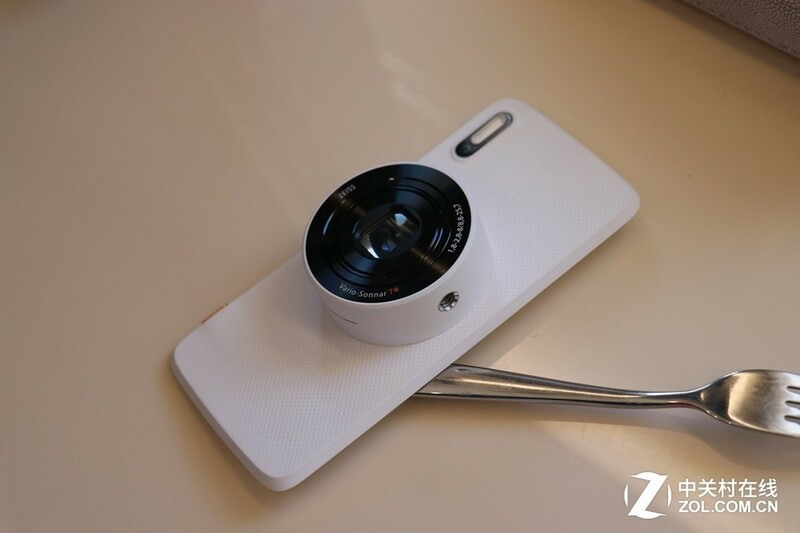 Lenovo and Motorola teased a bunch of new Moto Mods during Special event in China, including a Camera Mod with ZEISS Optics (Vario-Sonnar), and another that has a Rotatable Camera. 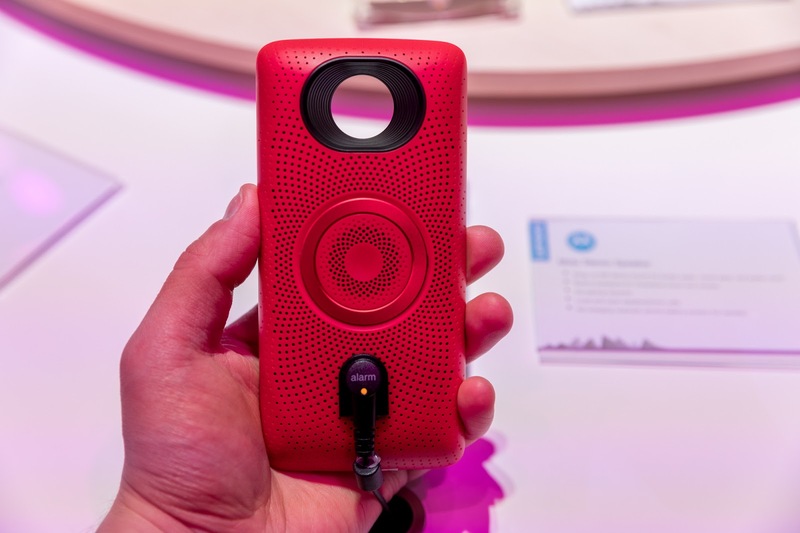 Yesterday, at MWC, the company showcased a brand new Stereo Speaker Moto Mod. The Moto Stereo Speaker Mod features a little pop-out ring to the back that will act as a kickstand. The Mod will be available in three different colors which are Blue, Red, and Black. There's no information on when the Stereo Speaker will be available for sale. However, rumors are the company is announcing few new phones and products soon after MWC 2018. Thoughts? 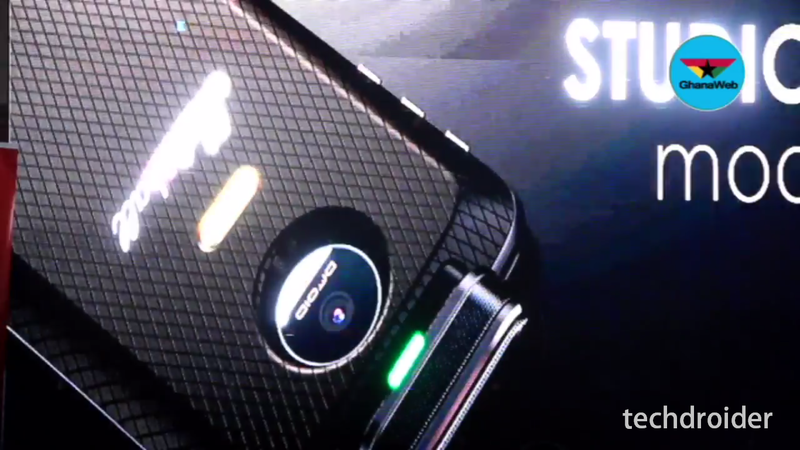 Lenovo and Motorola teased a bunch of new Moto Mods during Special event in China, including a Camera Mod with ZEISS Optics (Vario-Sonnar), and another that has a Rotatable Camera. Yesterday, AndroidHeadlines gave us first look at an upcoming Stereo Speaker Mod. 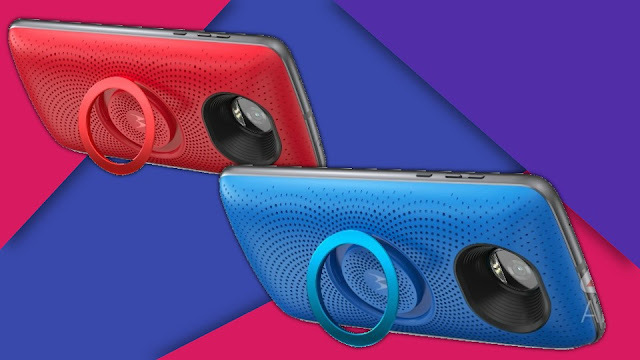 The Moto Stereo Speaker Mod will feature a little pop-out ring to the back that will act as a kickstand. The Mod will be available in three different colors which are Blue, Red, and Black. There's no information on when Motorola is going to release the Stereo Speaker and other 2018 Moto Mods. However, rumors are the company is announcing few new phones and products at MWC 2018. Thoughts? 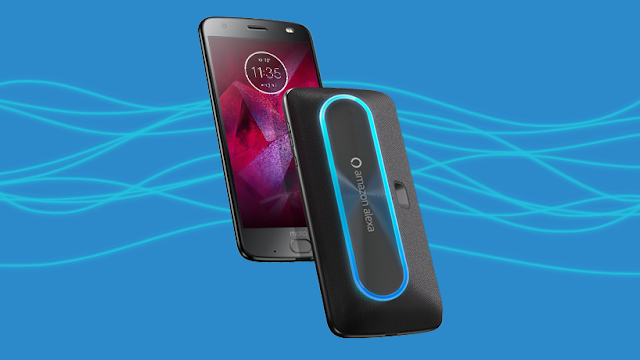 Ready for 2018 Moto Mods? 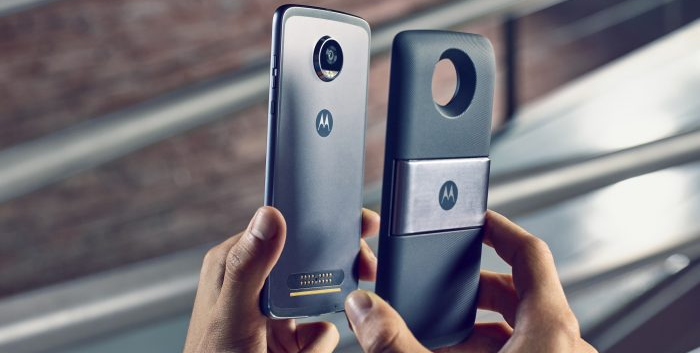 Motorola is betting big on the future of Moto Mods, with the company promising at least 12 Moto Mods a year. 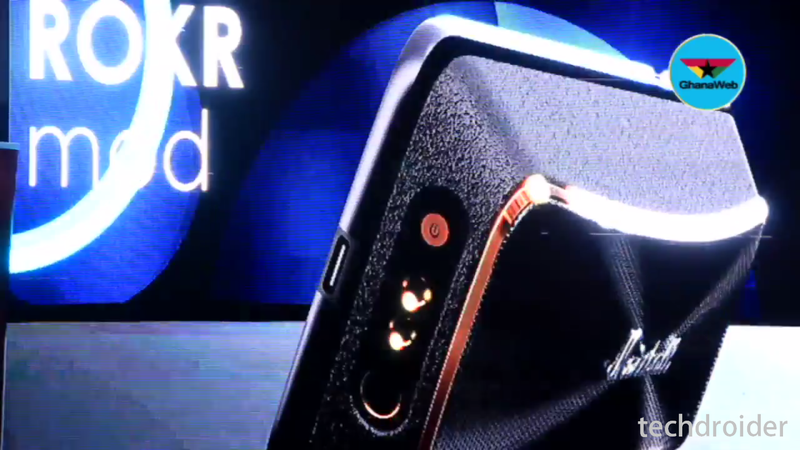 During the Special event in China, Motorola showcased few of the upcoming Moto Mods along with the Moto Z 2018. In case you don't know Moto Z 2018 is basically the Moto Z2 Force with Gold touch, new accessories and brand new UI. 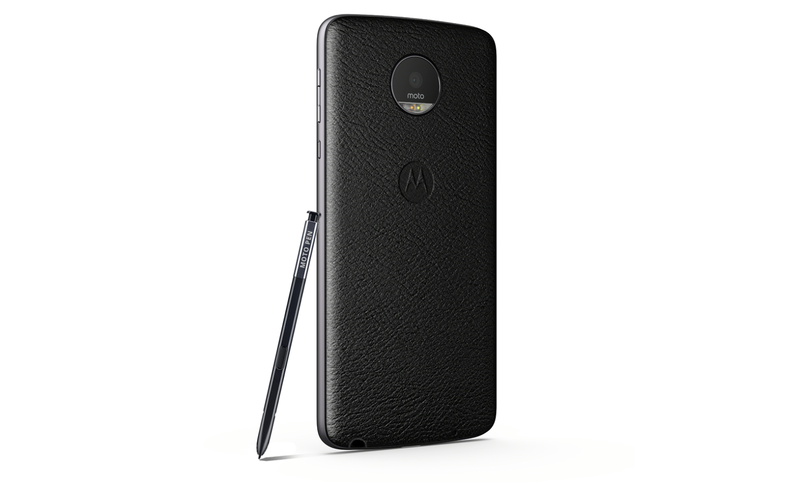 The entire package comes inside a premium suitcase and includes the Moto Z 2018 along with a few Moto Mods. The 2018 Moto Mods includes a Camera Mod with ZEISS Optics (Vario-Sonnar) that can be used along with SLR Cameras, Rotatable Camera Mod for Selfie Broadcast, LEGO Mod (Custom Programmable Brick), Flat Panel Display Mod, KEYBOARD Mod for typing, and more. Most of the prototypes are clearly visible in the below image. Flat Panel Display Mod, Rotatable Camera Mod, Camera Mod with ZEISS Lens, LEGO Mod, Unknown Mod, Keyboard Mod (Left to Right). Additionally, Developers and entrepreneurs presented innovative Modules such as Eyeglass Mod which transforms 3D world into 2D world, and a Security Mod for Identification. Motorola plans to launch few of these Moto Mods by Mid 2018. A Few months back Motorola and Lenovo announced the variety of special edition Moto-Mods to commemorate the the release of the Transformers: The Last Knight. And this time they are planning to offer limited addition of Star Wars Style Mod, which are likely to be available in limited numbers. The Star Wars Limited Edition Moto Style Mod looks Insanely cool and I really can't wait to attach one of those to my Moto Z Play. The Overall package will be available in ¥129 (19.50USD). Let me be perfectly clear, Just like Transformers Moto-Mods, Motorola plans to sell the Star Wars Style Mod in the China only and there's no indication if or when it will come to other regions. There's also likely to be a limited number available, so if you want one, better start looking on how to import products from China or those who can make it to the China, it would be great if you can bring me one too when available. 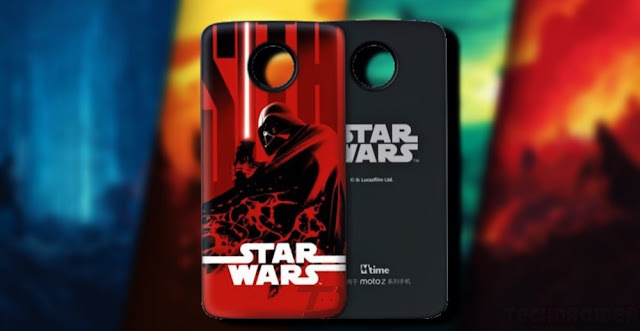 Motorola is expected to launch the Star Wars Limited Edition Moto Style Mod in a few weeks. That said, we will let you know if Motorola plans to release these special edition Moto-Mods in any other regions. How bad you want one of these for your Moto Z? Let us know in the below comment section! Motorola is betting big on the future of Moto Mods, with the company promising at least 12 Moto Mods a year. 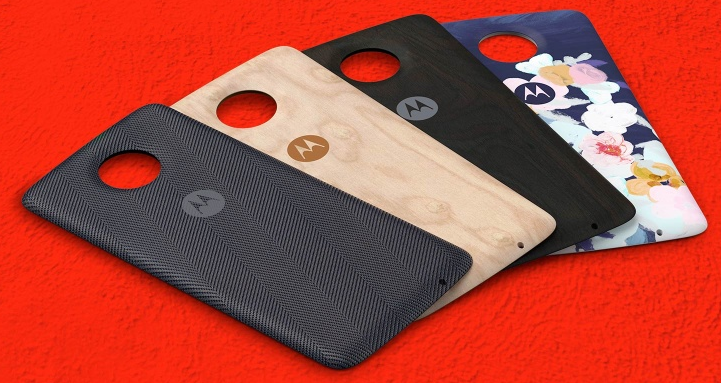 Now according to the latest leak, Motorola with AT&T is planning to launch a new Moto Mod. 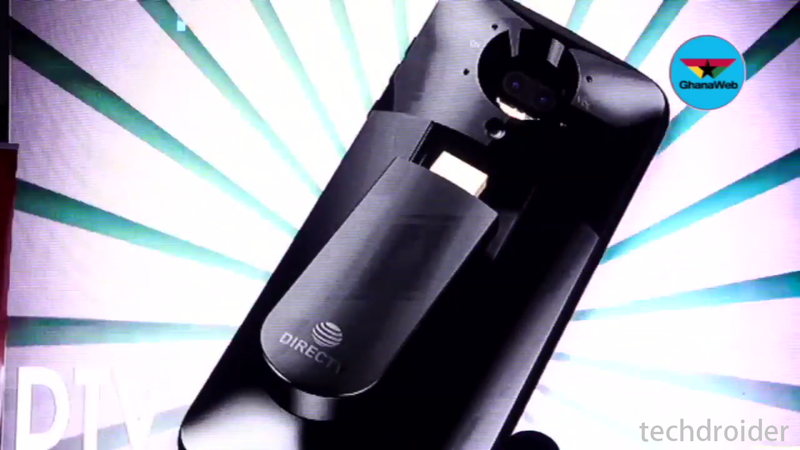 This new upcoming Moto Mod will be called AT&T Mobile TV Cast and will include a stick that users can plug into any compatible TV set, apparently allowing them to watch DirecTV. The report further says that the Mod is ready to use with no pairing process required. All you need to do is plug-and-play. The Module will feature a 2,730 mAh battery which is really great. Modular phone was first introduced by LG back at the MWC 2016 with the LG G5. However, it was Lenovo who took the concept to a whole new level with their Moto Z range of phones. Motorola is betting big on the modular phones. 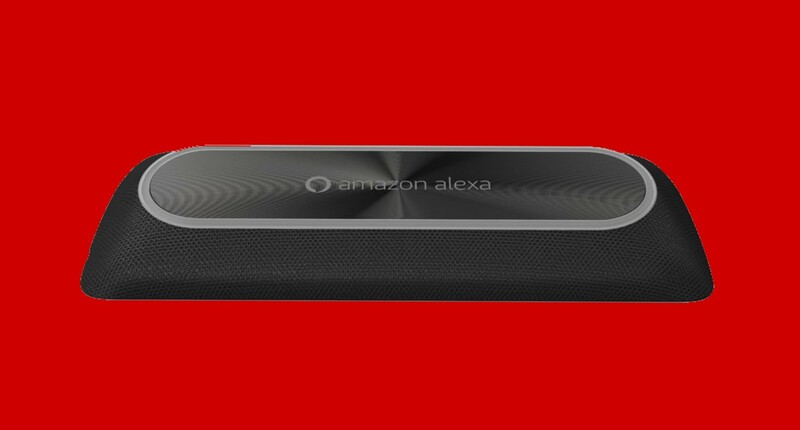 Motorola today announced the Moto Smart Speaker with Amazon Alexa Assistant Moto Mod for Moto Z Smartphones. Just like the Google Assistant, Alexa is an intelligent personal assistant developed by Amazon. It is capable of voice interaction, music playback, making to-do lists, setting alarms, streaming podcasts, playing audiobooks, and providing weather, traffic, and other real time information, such as news. Alexa Mod provides up to 15 hours of built-in battery. Additionally, you can charge your phone while using the Smart Speaker with Amazon Alexa. The information you ask Alexa will appear on your Moto Z Smartphone. Back in 2011, Samsung introduced the S Pen with the Galaxy Note. The S pen or Stylus pen is an input tool that provides a similar feel to an actual pen by detecting the pressure applied on the screen with great accuracy. It also comes with most loved Air command and tons of other cool features. Now, Designer Skrubbe has come up with an exciting new concept of Moto Z Smartphone with Moto Pen. The thought of merging the Stylus and Moto Z is unlikely to be something Motorola would consider. But the question is whether or not you’d buy it? Leave your comments below. 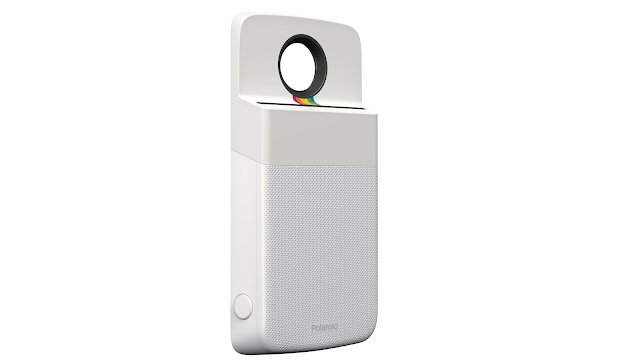 Also Read: Polaroid Insta-Share Printer Moto Mod First Real Life Images!!! And today, here's our first clear look at the upcoming Amazon Alexa and Polaroid Insta-Share Printer Moto Mod. The Insta-Share Printer Mod instantly prints your photos just after capturing. It is made up of compact hardware from digital printers and applications and can be easily attachable to the smartphone with the help of magnetic pins at the back. Having said that, theses module are being developed by Motorola and was first introduced few months back. There's no information on when this product will go on sale. We'll notify you once we get more information. 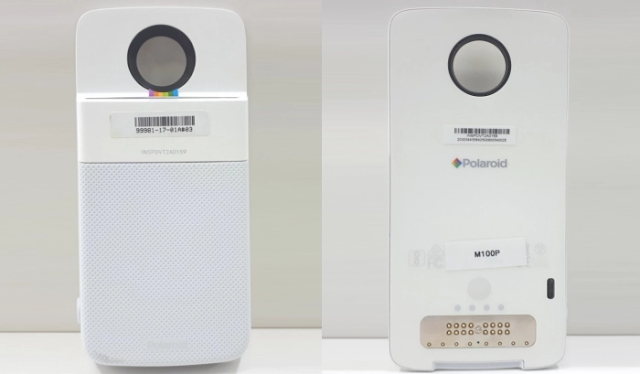 Polaroid Insta-Share Printer Moto Mod First Real Life Images!!! And today, here's our first real look at the upcoming Polaroid Insta-Share Printer Moto Mod, which instantly prints your photos just after capturing. 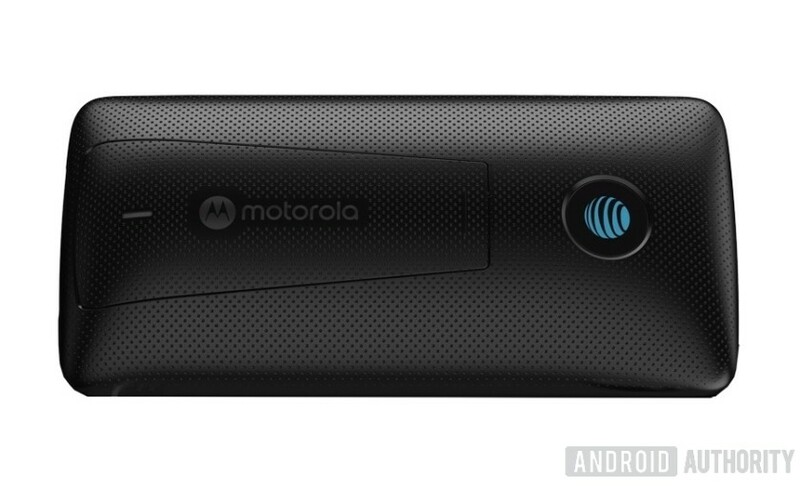 Having said that, this module is being developed by Motorola and was first introduced few months back. At this point of time, it is easy to take photos in your phone and share it with your family members or friends, but there is no way that the photo will come out in real time'. So, for solving this issue, Motorola is bringing in this mod. 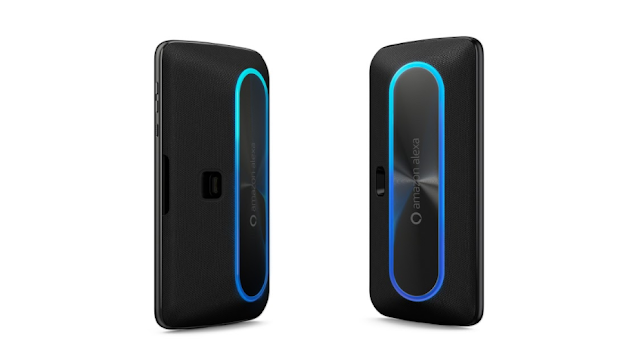 This Moto Mod is made up of compact hardware from digital printers and applications and can be easily attachable to the smartphone with the help of magnetic pins at the back. There is no fact denying that Motorola is betting big on the future of Moto Mods and the recently concluded hackathon event is a proof for that. 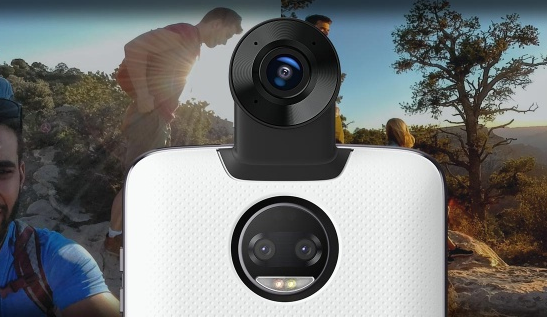 As of now, there are various Moto Mods to play music, capture images, project a picture, etc. But now, Ryvaeus (Reddit Username), one of the Moto Z user is on a mission to do something unique. Yes, he is designing a Gaming mod with Joy-Con Controllers. For those who don't know Joy-Con are the primary controller of the Nintendo Switch console. They can be attached or detached and used wirelessly. 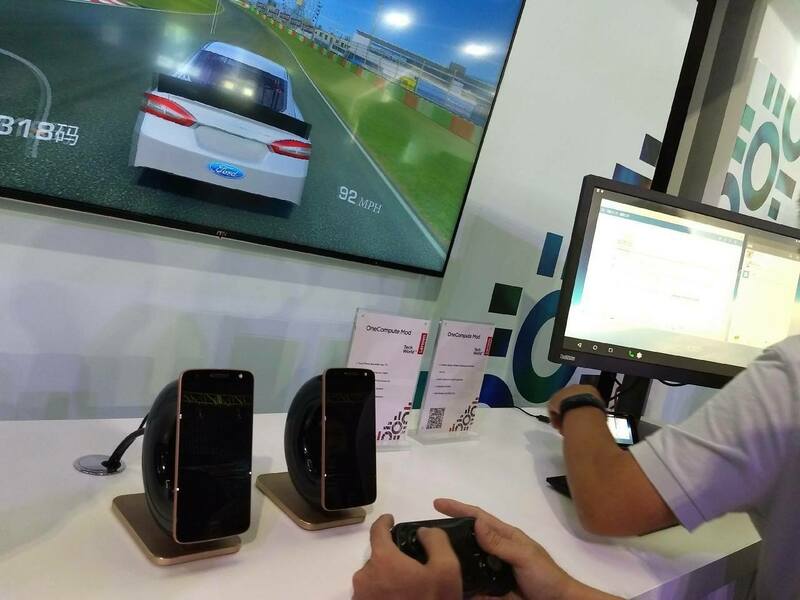 This Moto Mod follows same concept that the GamePad Mod offers. It adds physical gaming controls to your phone. 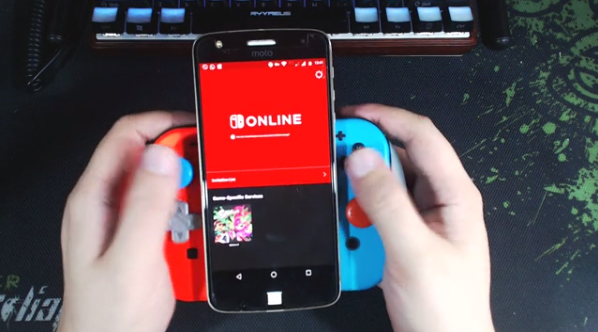 The developer has already built a prototype of the mod which adds the Joy-Con to the device. Want to see that Project into reality? Share your Thoughts below! You can now officially pre-order the Gamepad Moto Mod for the Moto Z Smartphones. It is Verizon Exclusive and is available for $79.99. 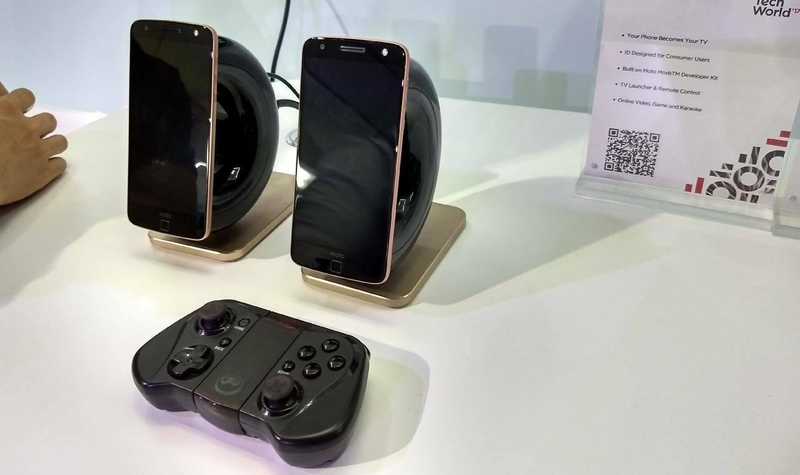 GamePad Moto Mod allows you to transform your Moto Z into a handheld gaming console with a simple snap. You get dual control sticks, D-pad and four action buttons for a true gaming experience. The GamePad Module comes with 1035mAh built-in battery. 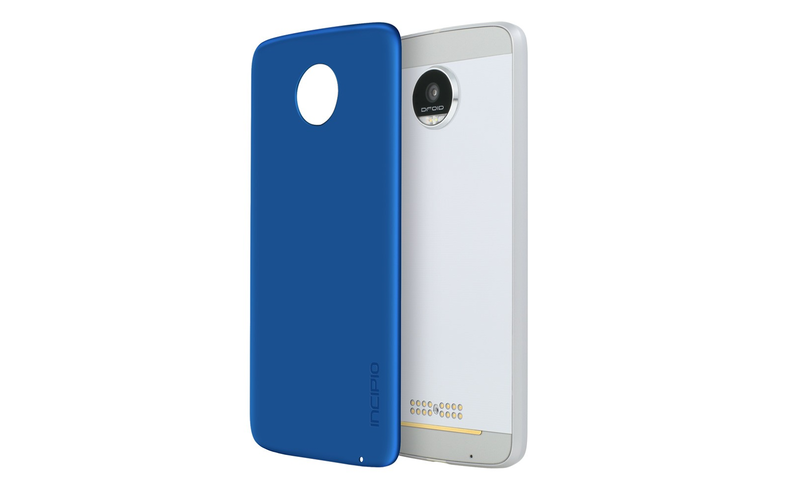 You can grab the Incipio Interchangeable Back Plate for the Moto Z Smartphones from Verizon just at $6 and and that’s a pretty crazy low price. The Incipio Style shell is available in Nautical Blue, Champagne, and Gunmetal color options. It gets attached to your Moto Z via magnets. The Moto 360 Camera Module can shoot 4K 360° video with immersive 3D audio, it can also captures photos with an ultra wide-angle 150° field of view. Additionally, Users will be able to edit their 360° photos and videos right from their Moto Z phone. The Advanced editing software allows you to easily adjust 360 content to fit your needs. 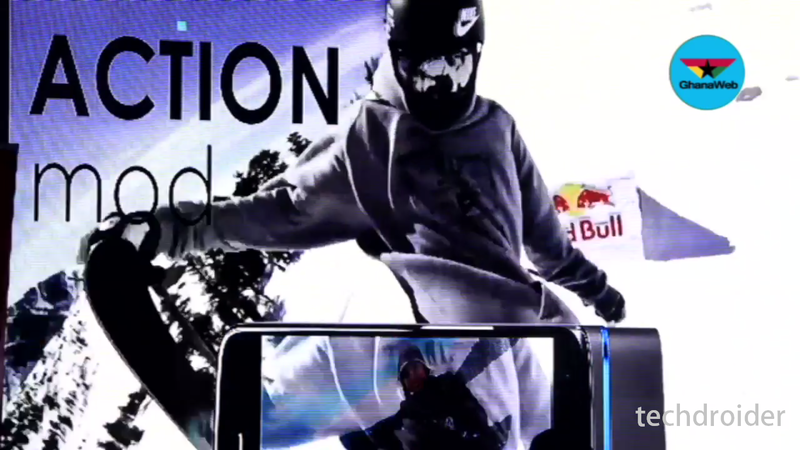 You can also Live stream your 360° videos directly on your social media channels, that's something really cool. If you ask me, the price seems to be a little bit higher as compared to the Andy Rubin's Essential Smartphone 360 Camera Module, which is priced just at $199. Thoughts? With the launch of the Moto Z2 Play in China, Motorola and Lenovo announced the variety of special edition Moto-Mods to commemorate the the release of the Transformers: The Last Knight. The special edition Transformers Moto Mods includes 5 Style shells with different designs, and a Projector Mod. All of them looks Insanely cool and I really can't wait to attach one of those to my Moto Z Play. Let me be perfectly clear, Motorola is only selling the Transformers Moto-Mods in the China only and there's no indication if or when it will come to other regions. There's also likely to be a limited number available, so if you want one, better start looking on how to import it now or those who can make it to the China, it would be great if you can bring me one too. That said, we will let you know if Motorola plans to release these special edition Moto-Mods in any other regions. How bad you want one of these for your Moto Z? Let us know in the below comment section! OneCompute Moto Mod is Alive and Here are some latest Images of the same! 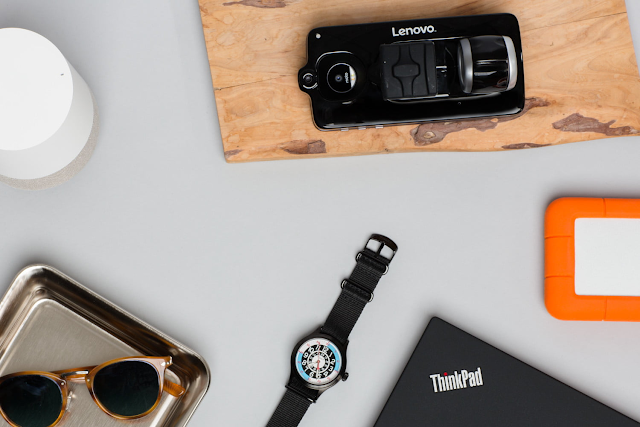 Back in 2016, Lenovo and Motorola launched the Modular Moto Z along with Snapable backs know as the Moto-Mods. 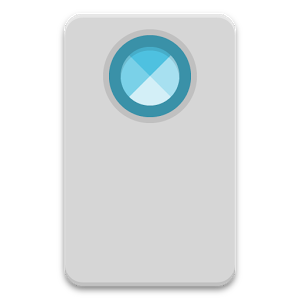 One such Module shown was OneCompute Mod, which helps you turning your Moto Z Smartphone to a Computer. It actually communicates with a traditional monitor, providing a desktop-like experience. Since then, we haven't heard a single word from Motorola regarding the availability of the OneCompute Mod. 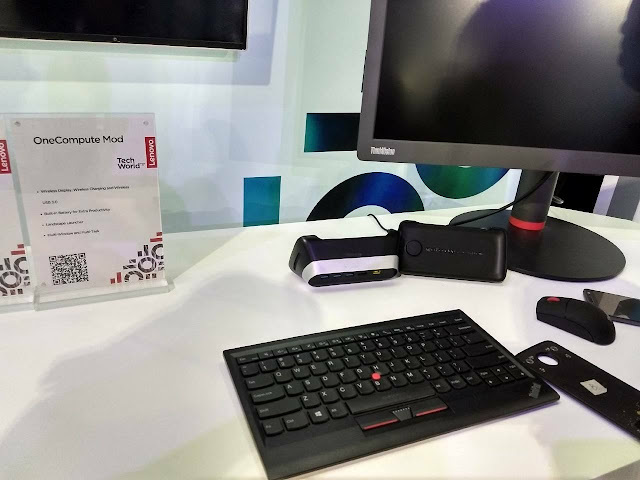 Today, Lenovo in it's event "Lenovo Tech World" showcased the OneCompute Mod and here are some Live Images of the same. 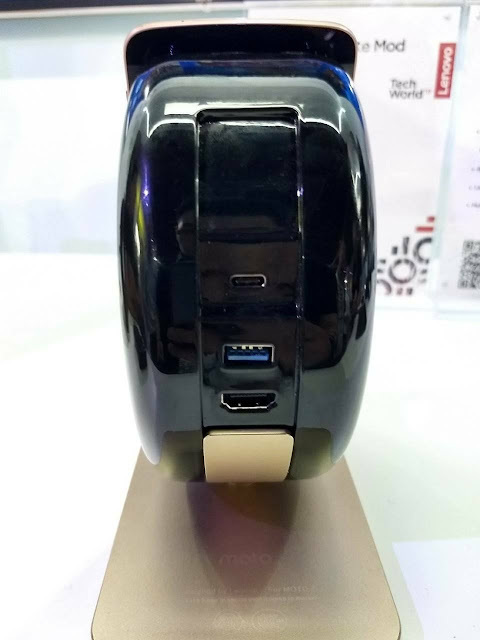 As you can see that the OneCompute Mod looks like a dock, where you have to attach your Moto Z Smartphone. You will be getting/using a controller to play games, as seen in the above and below images. The above Image shows the Back of OneCompute Mod, where you have to attract some cables through your PC. There's no information regarding when the OneCompute Mod will be available in stores. We will update you once we get more information regarding this. Just a few months ago, Motorola announced the new Moto-Mods including GamePad Moto Mod, TurboPower Pack, Style Shell, and JBL SoundBoost 2 along with the Moto Z2 Play. 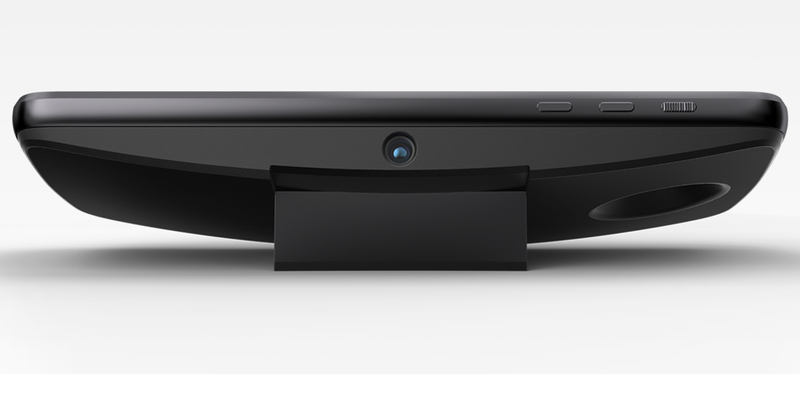 As promised, the Wireless Charging Style Mod is now up for grabs from Motorola's official website at $39.99. For now, it is available only in two finishes Grey Herringbone Nylon and Floral Print. The Wireless Charging Style Mod can charge your phone’s battery at 10W speed on a charging pad (which is not included). It weighs around 49.2 g. All patterns include Ebony Burl Wood, Grey Herringbone Nylon, Cateye Wood, and Floral Print. Other Moto Mods will be available globally pretty soon, with Moto TurboPower Pack starting at $79.99 USD, JBL SoundBoost 2 at $79.99 USD and Moto GamePad at $79.99 USD. First, Lenovo-Motorola showed a ROKR Moto Mod, which is a kind of dedicated Speaker Module made by Marshall. Next is a Studio Moto Mod with a Mic on the top and Marshall branding to the rear. There was also a DTV Mod made by DirecTV, an American direct broadcast satellite service provider. 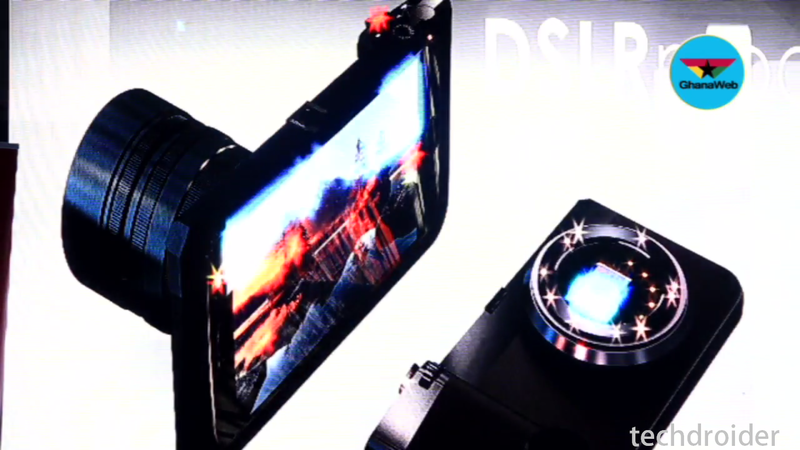 Another mod appears to be a DSLR Mod with Camera Lens support, essentially turning the phone into the DSLR Camera. Finally, there's an Action Moto Mod with Rotatable Camera. All of these are simply concepts at this point, and Motorola is expected to launch them soon along with the Moto Z2 Smartphones. We will let you know once we new information regarding these Moto Mods, Stay tuned to our Facebook and Twitter page to get the first News.